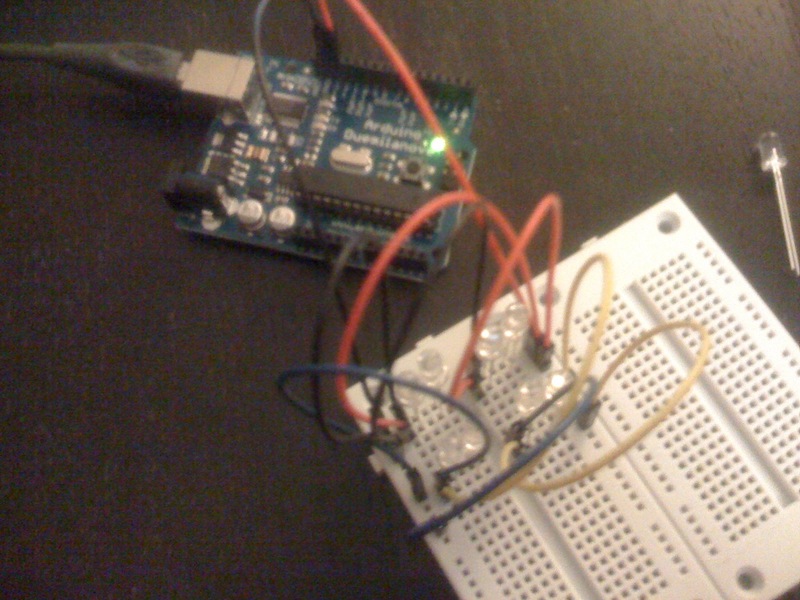 We were handed out Arduino’s and a bunch of other hardware in class today. It was pretty fun and easy setting it up. 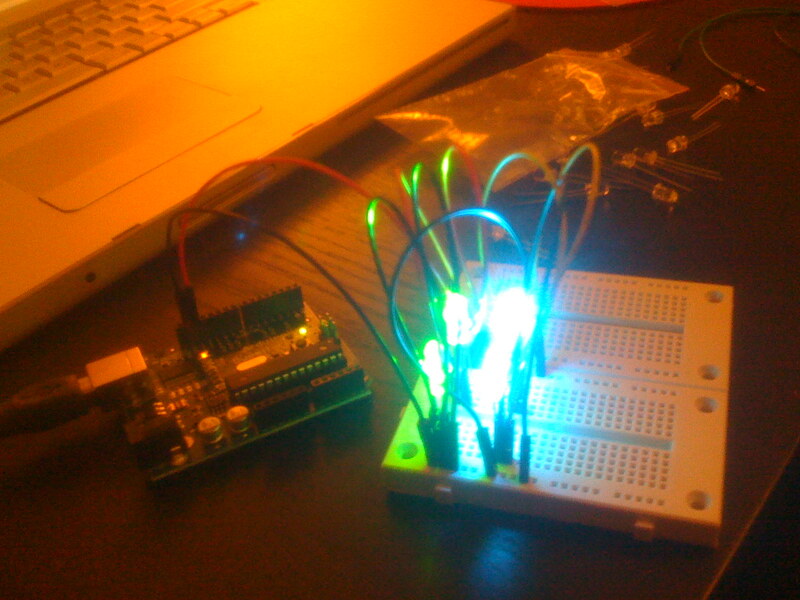 Later, I did a tiny experiment with a bunch of green and blue LED’s with the example blinking script, nothing fancy. I like the way it looks like a wiry mess. Looking forward to using this piece of hardware to build some fun, interactive physical stuff.